Should You Consider Investing In Fixed Deposits After The Interim Budget 2019? Home > Financial News. Simplified. 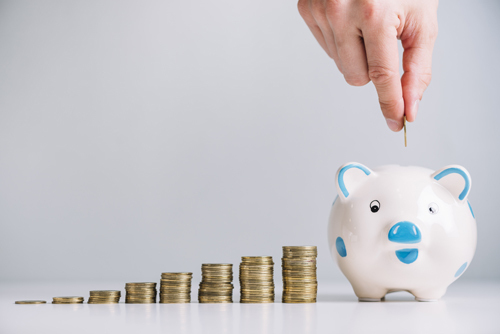 > Should You Consider Investing In Fixed Deposits After The Interim Budget 2019? Have bank Fixed Deposits (FDs) become attractive post the Interim Budget 2019? But our counter question is: why were they unattractive in the first place if you were a conservative investor-someone averse to taking the risk. Many of you might argue that the bank FDs were generating a poor real rate of returns (adjusted for inflation) and post-tax returns until recently. Well, that's true to an extent. But if you are looking at: earning an assured rate of return unlike market-linked instruments; avail of a higher interest rate than parking money in a savings bank account; would like to draw a regular source of income (vide monthly or quarterly interest payouts); take care of liquidity needs; address short-term financial goals, then there is no reason why you should ignore investing in - bank FDs. The interest earned on fixed deposit receipts is, of course, subject to Tax Deduction at Source (TDS) if the interest amount is over Rs 10,000 in a financial year if you are a non-senior citizen. For senior citizens, the government in the union budget 2018, increased the exemption of interest income on deposits with banks (includes fixed deposits) and post offices from Rs 10,000 to Rs 50,000. Thus, TDS will not be deducted for senior citizens, unless it crosses this new limit. The rate of TDS is 10% if PAN is furnished, and if not, then 20%. No surcharge or cess is levied over and above this basic rate. - For the benefit of small depositors, the government raised the threshold limit applicable for TDS on interest earned on bank FD/post office FD from Rs 10,000 to Rs 40,000. - A full tax rebate for individual taxpayers having a taxable annual income of up to Rs 5 lakh. Therefore, if your income is below this limit, you will not have to pay any income-tax. Further, if we account for the deduction limit of Rs 1.50 lakh under Section 80C of the Income Tax Act, 1961; for gross income up to Rs 6.50 lakh you may not be required to pay any income-tax if tax-saving investments are done. As per the budget estimates, the tax liability of approximately 3 crore individual assesses will fall to zero due to the additional tax rebate proposed in the Interim Budget 2019. This apart, the government endeavours to make the Income Tax Department more taxpayer friendly. It intends to transform the I-T Department to process all returns within 24 hours and simultaneously issue the refunds. As a result of aforesaid announcements, FDs will become tax-efficient for small savers. Claiming refunds will also become easy and less time-consuming. The interest income of senior citizens upto Rs 50,000 is already exempt. Moreover, with the inflation firmly anchored and RBI confident about achieving the medium-term inflation target of 4%, you are likely to earn a better real rate of returns. Have bank FDs become more attractive than debt funds even to big investors? After the recent fiascos of IL&FS, DHFL and Essel group, investors in debt funds have become jittery. Until recently, mutual funds and their investors trusted (perhaps blindly) the top-rated debt instruments. It seems the industry didn't learn much from the previous instances of failure, which includes the Amtek Auto default. In the pre-budget times, many investors were hoping that the government would shorten the holding period requirement for non-equity funds from three years to one year so that these qualify as a long-term asset; but this wasn't done. For those falling in the 20% tax slab and above, investing in the growth option of debt funds is still a worthy proposition. But choosing your debt mutual fund schemes wisely in accordance with your investment time horizon and risk profile is the key. Given the hostile credit environment markets are experiencing at the moment, it would be imprudent to ignore the default risk involved in debt funds. The common notion was that only long duration funds are subject to the risk of default. But, the recent episode of IL&FS, when liquid funds fell like credit risk funds, has badly shaken the investors' confidence. 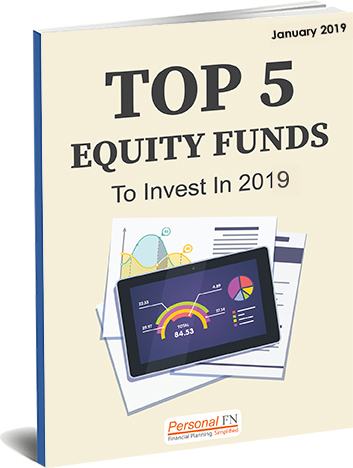 PS: If you are a risk taker and looking at the best equity mutual funds that you could invest in 2019 right away, here is PersonalFN's special premium report: Top 5 Equity Funds to Invest In 2019.